My world: Anna Hazare eccentric old man for fighting Janlokpal Bill ?? 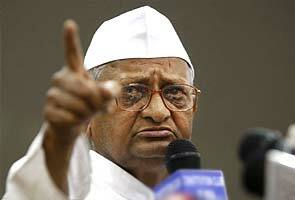 Anna Hazare eccentric old man for fighting Janlokpal Bill ?? Then the Government itself is MAD. The way they acting now shows that they have become mad due to the fear of getting their head under the law for their looting of our country. All of us has to go with Anna to fight against this crime against corruption and looting our country.